DUDLEY - Daniel D. Costello Jr., 69, of Dudley passed away, Sunday, March 17, 2019, in UMass Hospital, with his family at his side. His wife of 40 years, Carol (Collier) Costello passed away in 2013. Daniel is survived by his daughter, Erica Costello; his sister Beth Bisceglia and brother-in-law Joseph of Worcester; a step-brother, Glenn Dolan of Worcester; two step-sisters, Dawn Battista and her husband Daniel of Phoenix, Arizona and Barbara Dolan and her husband Louis Golato of Shrewsbury; many nieces and nephews; as well as several great nieces and nephews. He was born in Worcester, the son of the late Daniel Costello and Helen (Parks) Costello. Daniel was an elementary teacher for many years in Rutland, MA, and upon retiring continued his passion and love for teaching children as a substitute in other towns. During all of Daniel’s years teaching he sought to lead with kindness, good humor and concern for the well-being of the children he was educating. Both colleagues and students loved Mr. Costello. He had such a wonderful personality and had so much pride in his job. He was devoted to giving every child the best education. Daniel was a loving and gentle soul that passed away too young. His love for socializing and meeting people made him happy throughout his days. Treating all who met him as special. He had the most wonderful sense of humor. He enjoyed spending time with family and friends laughing and telling stories. He enjoyed playing games at holidays where everyone would be having fun. He enjoyed the simple things in life too, like sitting on his front porch having coffee and talking with his neighbor Deb. He enjoyed people. He had a kind heart which is why he was a good husband, father, brother, uncle, friend and teacher. Daniel had a tremendous love of animals especially dogs, horses and dolphins. He was an avid reader, enjoyed classical music, loved watching ice skating and enjoyed taking trips to Cape Cod. Daniel will be sadly missed by many. 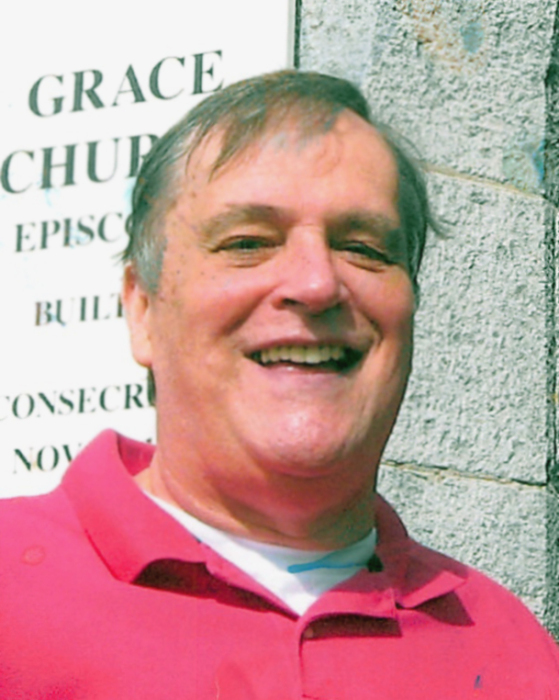 Relatives and friends are invited to attend a Celebration of Life Mass at 10 a.m. on Saturday, April 6, 2019, at Grace Episcopal Church, 270 Main St., Oxford. There will be no calling hours. In lieu of flowers, memorial contributions may be made to the Worcester Animal Rescue League, 139 Holden Street, Worcester, MA 01606. Paradis-Givner Funeral Home in Oxford is directing the arrangements.